In addition to the pleasurable walks in summer and skiing in winter (only to mention the most popular, traditional activities), the mountain has many ideas in store on what to do and see and some of these can be useful when the weather is bad (although it is worthy of note that fortunately San Martino di Castrozza often boasts great weather). Among the most beautiful locations to visit, we recommend a trip to Val Venegia, the Pala mountain group plateau (50 km2 of bare rock, a suggestive stone plateau at a height of 2,700 metres), Val Canali, the Lagorai massif and the inevitable Paneveggio Pale di San Martino Natural Park, inside which the wildlife deer area and the Marciò path that runs through the magnificent Foresta dei Violini (Violin Forest), with the spectacular suspended bridge overlooking the Travignolo river stand out from all the rest. A trip to the UNESCO World Heritage Site - Dolomites Panoramic Balcony is an absolute must and which offers a breath-taking view of all the surrounding mountains. It can be easily reached on foot, in about 15 minutes from the top of the Tognola cable car station of arrival. Without forgetting the itineraries of the 1915-18 Great War (WWI) that recall the blood shed by the many soldiers who died defending their Country. So, there are so many ideas to enrich your holiday, to suit your personal taste: ice climbing (climbing up ice waterfalls); the Survival School; the San Martino Bike Arena for Mountain Bike enthusiasts; climbing; fully-equipped fixed protection climbing paths; free climbing, canyoning; forest agility routes, a visit to the teaching farms that are so popular with children (“If I listen, I forget, if I see, I remember, if I do, I learn”). In winter, there are so many things to do away from the ski slopes such as romantic excursions on board the troika (the large, wooden horse-drawn sledge), ice-skating, karting and sport driving courses in Prà delle Nasse. A thrilling experience to be enjoyed includes snowshoeing together with Alpine Guides: these excursions are walks wearing snowshoes, a way of discovering the local area while enjoying yourself. The mountains also represent a gourmet experience and the Trentino-style Flavours enrich every holiday. Come and discover the Strada dei Formaggi delle Dolomiti (Dolomites Cheese Route) and you will be able to tast the typical cheeses from Primiero such as the “Tosèla”, the “Nostrano di Primiero” and the “Botìro di Primiero di Malga” – this event is a Slow Food presidium. 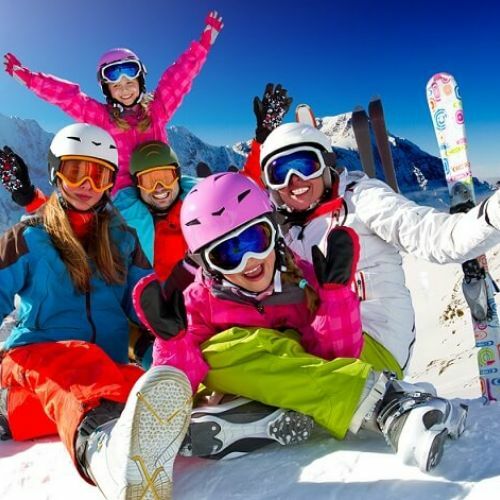 Moreover, after skiing and not only, it is time to enjoy the so-called “après ski” in the various bars, pubs, wine bars, cafès, pastry shops and creperie that can also organise really enthralling theme nights! Instead, lovers of culture and traditions, must not miss a trip to the “Palazzo delle Miniere” in Fiera di Primiero; to Villa Welsperg and to the “Casa Del Parco Naturale di Paneveggio” (Paneveggio Nature Park House); to the Canal San Bovo Eco-museum; to the Great War Museum in Caoria, to the Vanoi Eco-museum and to Mezzano Romantica, considered one of the most beautiful villages in Italy. There are so many ideas, contact us for advice to suit your personal taste!